Successful network attacks are enabled by poor network monitoring, and firms offering IT services in CT recommend the use of network monitoring software to secure corporate networks. Savvy business leaders realize the importance of network management and monitoring to keep their IT infrastructure at optimal performance. However, for complex corporate networks, a minor leak of sensitive data can lead to catastrophic losses. Therefore, you need an advanced and comprehensive network monitoring system for quality and effective monitoring of all activities within your internal networks. Configuring a network management solution, with the help of a specialty IT service provider, will enable you to monitor all workstations within your networks at both the hardware and software level. In a networked computing environment, malware can spread fast and infect all devices in an instant. With an advanced network monitoring software, you will be able to detect network problems and remedy them before they cripple your operations. As a result, you won’t be plagued by network problems and consequent downtime. You will soon become accustomed to the most common network problems, fix them permanently, and free time to focus on the core operations of your business. With the help of an IT services provider in CT, you will have the capacity to proactively detect network issues and resolve them in real-time to keep your business up and running all year long. Also, a network monitoring software keeps an account of the performance of your IT hardware, which is essential in enforcing SLAs to make sure your IT infrastructure runs at optimum efficiency. It also gives you statistics on all aspects of your network with performance metrics so that you can optimize your hardware to avoid mechanical failure— by studying KPIs. The greatest benefit of using a network monitoring system is to prevent business disruption. Thus, your operations won’t be disrupted by unexpected problems. A network monitoring software enhances network protection against viruses, phishing, and malvertisements. It is a fail-proof network security measure that keeps you informed on network security risks all 'round and ahead of malicious actors. With the complexity of the ever-growing IT environment today, monitoring your networks for performance and malicious activity is more demanding than ever. To account for your on-premises computing resources and cloud-based applications, you need a flexible solution— network monitoring software. Unlike in a manual network monitoring effort, it allows you to monitor your IT assets continuously and accurately in real-time. As your networks grow and adopt new technologies, network monitoring software provides you with an effective solution to monitor and protect critical business data. It is a reliable first layer of security with the ability to give a real view of who is accessing what data, what device is connected, and through which connection. Therefore, you can immediately detect an unfamiliar device or an unrecognized data connection within your organization and respond accordingly. In addition to these benefits, network monitoring helps you protect your networks from bandwidth misuse, enforce user polices, and prevent insider data theft. 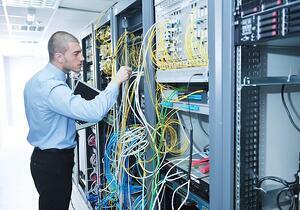 As a specialty IT services provider in CT, we can help you understand network monitoring better. Contact us at Kelser Corporation now for more information.